Who must pay zakat ul Fitr? What is #Zakat-ul-Fitr and Whom to Pay Zakat? How much Zakat to pay? What is Zakat? When to pay Zakat? Q: What is Zakat al-Fitrah? A: It is religious tax/alms (zakat) paid on the day when Muslims break the fasting period at the end of the month of Ramadan. This tax/alms is known as Zakat al-Fitrah. Q: What do the Qur’an and Hadith say about Fitrah? A: Imams (pbut) say that the verses: Indeed whosoever purifies himself shall achieve success, and glorifies the Name of his Lord and prays (87:14-15) refer to giving of Fitrah and saying prayers on Eid al-Fitr. Imam Ja’far as-Sadiq (pbuh) said: For your fast to be accepted, give zakat. Q: When does Fitrah become wajib (obligatory)? A: Payment of Fitrah becomes obligatory after sunset on the eve of Eid al-Fitr. The Fitrah should be kept aside and paid on Eid al-Fitr before Eid prayers or before midday for those who cannot say their Eid prayers. It is necessary to have obligatory intention (Niyyat) of giving Fitrah for God’s pleasure only. Q: What happens if someone forgets or does not give Fitrah on time? Q: Can we give Fitrah in advance? A: Giving Fitrah before the eve of Eid al-Fitr is not permissible. However, if you wish to send Fitrah earlier so that it reaches the needy on time, then you can send it as a temporary loan to the needy and then change your intention from loan to Fitrah on the eve of Eid al-Fitr. Q: To whom is Fitrah obligatory? A: Paying Fitrah is obligatory on every Muslim who is mature (Baligh), sane, financially able, &conscious on the eve of Eid al-Fitr. Fitrah should also be paid on behalf of all dependents (e.g. wife, children) whom one supports financially. Q: When is a host required to pay Fitrah for his guest? A: If a person invites another person to his house on the eve of Eid al-Fitr and if the guest is present at the host’s place at the time of the sunset then it is obligatory for the host to pay Fitrah for his guest. Q: What happens if the guest arrives after the sunset on Eid night? A: In this case the guest will pay his/her own Fitrah and it is not obligatory on the host to pay Fitrah for the guest. Q: What happens if a guest comes uninvited and is present at the time of the sunset on the eve of Eid al-Fitr? A: Ayatullah Sayyid As-Sistani says that the host should still pay the Fitrah as an obligatory precaution. However, Marhum Ayatullah Sayyid al-Khui was of the opinion that is recommended for the host to pay Fitrah of an uninvited guest. Q: How much should we pay for Fitrah? A: Fitrah for a person is given on a weight of 5.5 pounds , which is 2.49 kg(2.5kg) on any food commodity like wheat, barley, rice, millet, raisins or dates. Q: Can we give cash value of any commodity mentioned above? Q: Whom should we give the Fitrah to? A: It is given to the needy who are unable to meet their own or their dependants annual living expenses, nor do they have the means to do so through earning. Q: Who should not be given the Fitrah? A: A needy who: consumes alcohol, does not say his daily prayers (Salat), commits sins openly, or he who is known to use the Fitrah in sinful way. Q: Are there any additional rules that we need to be aware of? (i) Fitrah should not be sent outside the town one resides in, if there are deserving Mumineen in that town. 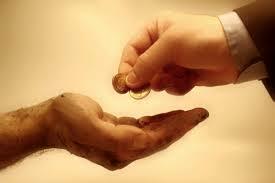 (ii) Fitrah from a non-Sayyid cannot be given to a needy Sayyid; the reverse is permissible. (iv) Amongst the needy, relatives should be preferred over others when giving Fitrah, next in line are neighbors and then the learned.